Golden Grimus - Open Edition. 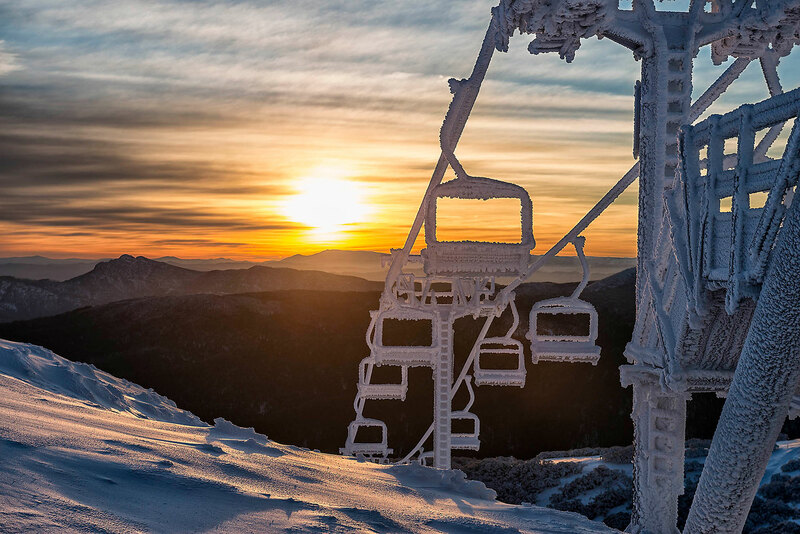 There probably isn’t a better spot to see the sun rise than up at Grimus Chairlift when it’s crusted deep in snow and the sky turns gold. The highest lifted point on the mountain it’s fitting that this lift, named for a local icon, looks over the whole resort at the start of every day.